Sudan does not score well when it comes to gender equality. United Nations Development Programme ranks it 166 out of 187 in its Gender Inequality Index. The country has been in and out of civil war for more than a century and, as is often the case, women have borne the brunt of this instability. The nation has an unpredictable history of enforcing Sharia law, which is particularly oppressive towards women. 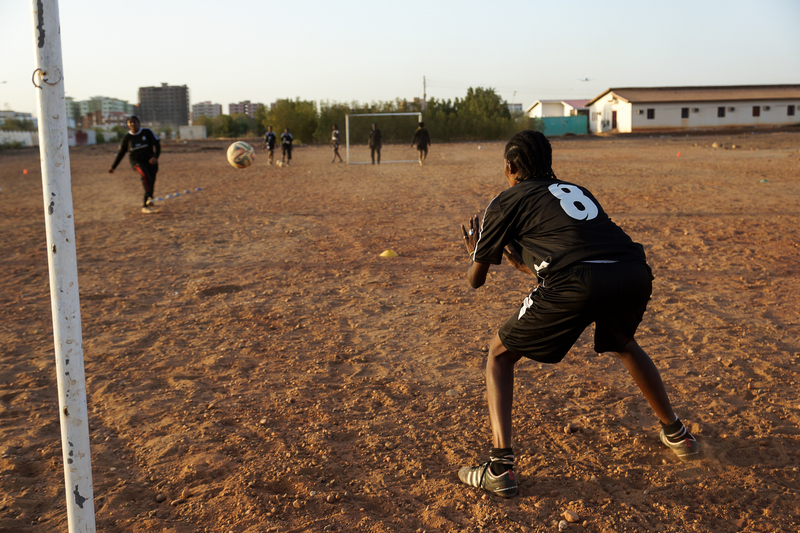 But this all-female Sudanese soccer team, appropriately named The Challenge, is defying the status quo and fighting for gender parity by simply taking the field. The social resistance to their team is challenge enough, but they face practical difficulties as well. 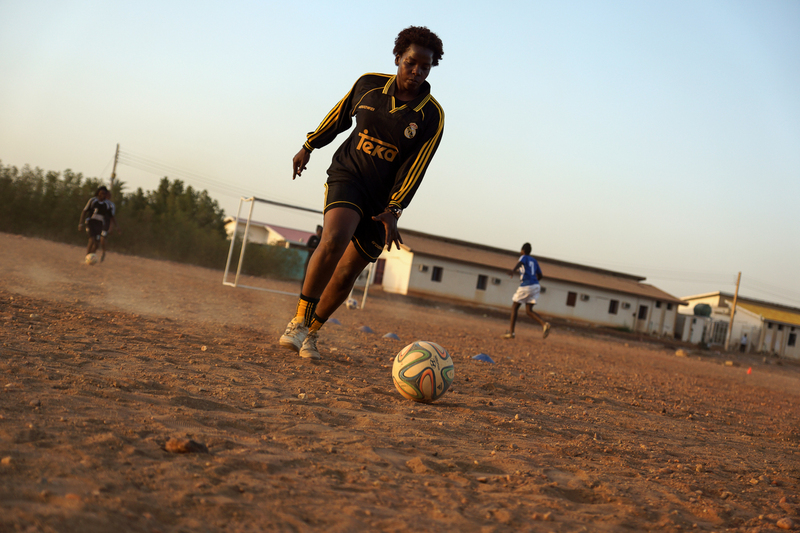 With no support — financial or otherwise — from the Sudan Football Association, The Challenge survives off donations from women&apos;s rights groups and finances the rest out of pocket. "We are named The Challenge, because keeping this team going without any funding from the official football association in Sudan is not easy," team captain Sara Edward told Al Jazeera. They used to hold practices on a grass field but have since been relegated to the neighboring dirt patch because of disapproval from the facility&apos;s owners. The team&apos;s players range in age from 14 to 29 years old, with some members having to fight harder than others for the right to play. "I have suffered the most in the team. My family doesn&apos;t understand my passion for football; they say it&apos;s not a sport for ladies," Sadiya Hassan, 27, told Al Jazeera. "This is my dream. I would do anything to be able to represent Sudan." 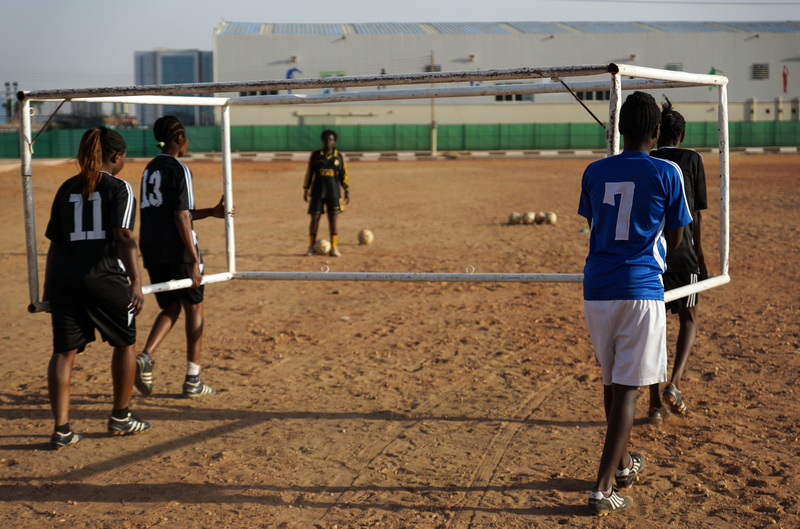 In 2006, women in parts of Sudan were required to wear hijabs and long skirts when they played sports. The Challenge&apos;s team members were some of the first women to defy the rule, according to the Sudan Tribune. Being a Sudanese woman is not easy. The country&apos;s instability has not been kind to either gender, but women have endured a particularly difficult time. "Women in Sudan have been subject to extremely high levels of violence from state and non-state actors," the Social Institutions and Gender Index writes. "Women also continue to shoulder the burden of the displacement and poverty associated with conflict, and in rural areas, less than a third of women have had access to any form of education." However, defying entrenched inequality the way these women do is absolutely crucial in establishing gender parity. They not only play a sport largely dominated by men, but they&apos;ve also competed against all-male teams, often surprising the men with their abilities. Women like Edward and her teammates offer hope for a country that is in desperate need of female role models and for a region that does not often see women as strong and autonomous actors. The power of sport. 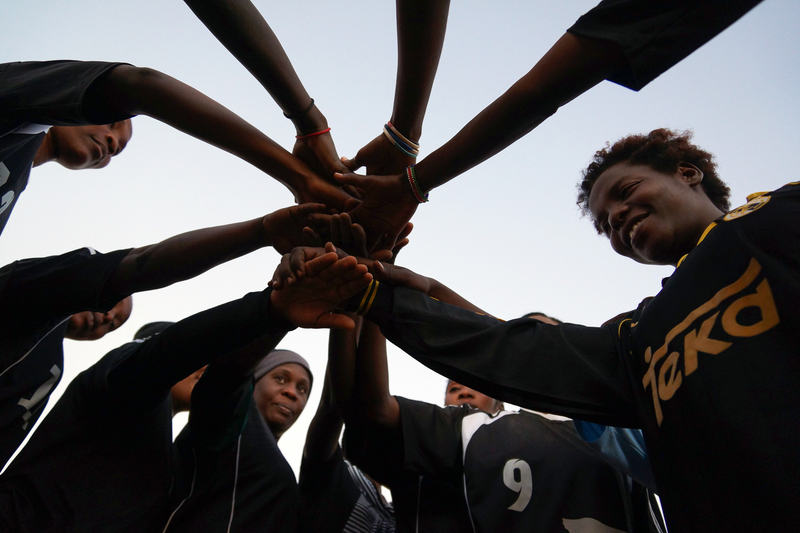 Increasingly, feminists and development economists are arguing sport is one of the best ways to empower girls and women in countries battling systemic gender inequality. The benefits of team sports are manifold, as team bonds create a support network that can help boost girls&apos; self-perception. "It gives you lots of excitement, it makes you feel happy, it gives you an opportunity to feel on top of the world when you&apos;re playing," Madhumita Das, a senior technical specialist at the International Center for Research on Women who specializes in female empowerment through sport, told Mic. Das explained there is a growing body of evidence that shows team sports improve health and self-esteem of the women and girls who participate, making them more comfortable with their bodies. "In my view, it&apos;s not just an avenue to engage girls in gender equality, but sports itself is an empowering tool," Das said. "Even if you don&apos;t discuss anything about female empowerment, 50% of the job is done just by letting them play." "The visibility is crucial. Public space is considered a space for men and boys only, but women&apos;s sports pushes those boundaries," she said. "We talk about creating safe spaces for girls, but until you claim these spaces, you won&apos;t feel empowered." Das has worked extensively with a migrant Muslim community living in Indian slums, giving girls the opportunity to play soccer. Initially, she said, girls would show up to the field in a niqab head covering and change into their sports garb there. After about six months, most of the girls began coming straight from home in their workout clothes, without a headscarf. The ability for team sports to recalibrate the idea of a woman&apos;s role is crucial. It also provides valuable recreational time and fun for girls who are often constricted by the fetters of poverty. Given the power women&apos;s sport can have on redefining gender roles and promoting self-esteem, it might be prudent to invest more resources in these teams. While it may not be a priority in development, it is one of the more straightforward and immediate ways to promote female empowerment. And it&apos;s one of the the most fun ways to level the field.